Home » News » What CRM trends are typical for 2019? Nowadays, a lot of modern companies use CRM as a centralized storage of important customer data. With the ambition to use the data effectively, the Business Intelligence (BI) solutions enabling their analytical and visual processing are used. However, Business Intelligence ranks more or less among the common equipment of every company using CRM. It´s the analysis and automated data processing, which are going to move to another level in 2019 – thanks to the Artificial Intelligence. data analysis thanks to the Artificial Intelligence and trend prediction. Process automation via robots (RPA) is of interest of medium and large companies, since it provides automation of routine tasks and intelligent prediction. More and more popular virtual customer agents, so called chatbots, belong also to the group of such tools. success prediction related to future business opportunities. Trend for 2019: The companies already using CRM will focus on process automation via RPA tools and chatbots. Those will become a more and more frequent part of business and service processes, helping to provide high-quality customer services and optimize operational costs. 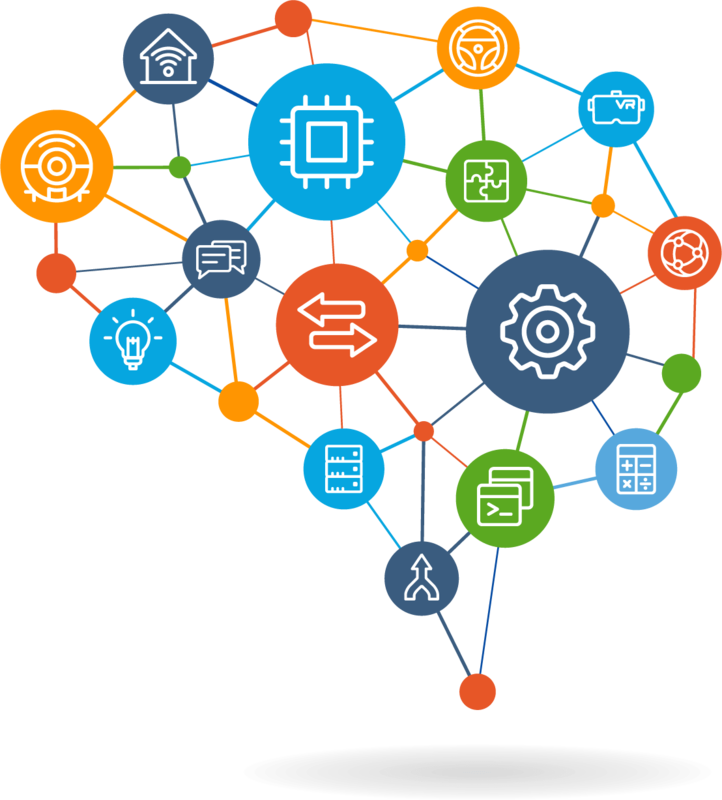 The Predictive Maintenance solution is closely linked with development of artificial intelligence and IoT. We suppose that from this year on, the Predictive Maintenance will be applicable mainly to companies providing maintenance of machines or manufacturing companies operating expensive machines. The Predictive Maintenance based on IoT technology is a solution able to analyse information generated from the connected mechanical devices. Values of current status transmit via sensors, regularly record and monitor in the CRM system. 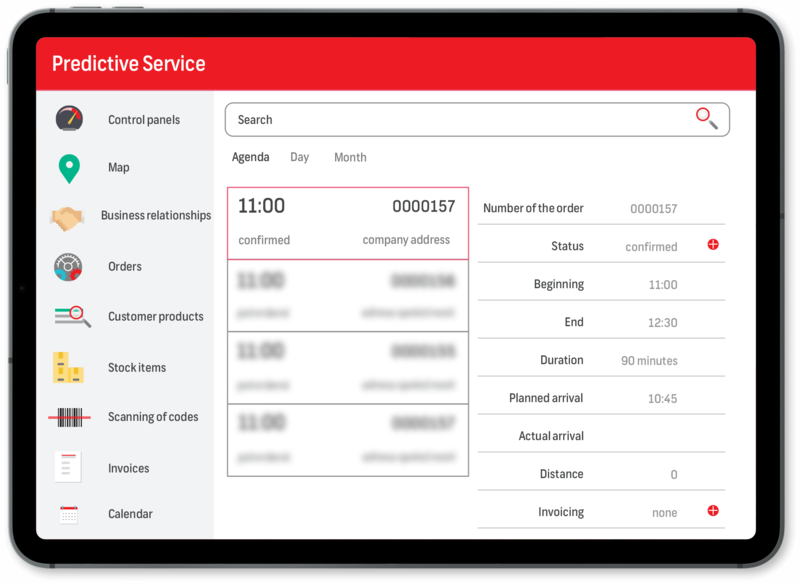 If values exceed certain limit, CRM will automatically assign the case to the nearest free service technician who will be notified by a mobile app with all the information necessary to solve the service case. Thanks to remote monitoring, he is able to solve the problems even remotely. increased customer satisfaction with the maintenance of the machines and devices connected via the IoT technology. Trend for 2019: In upcoming years, CRM in connection with IoT technologies will provide companies with an opportunity to reduce costs and make management of various areas, such as energy consumption, prediction of maintenance cases or automation of various actions, more effective. Companies have their data in CRM systems, what enable them to provide fully individualized customer care, but they don´t always use it. Modern customers require the quickest customer care of highest quality with the most personal approach possible. Thanks to the data collected in the CRM system, the individualised approach of customer care has become the key success factor, which offers 360-degree view on customers and enables to predict their needs and customize every communication. Trend for 2019: CRM is no longer a solution only for sales management. Companies will more and more use CRM for customer care management what will help to increase customer loyalty, retention and overall market share. Social networks contain tremendous amount of important customer data. Thanks to these data, it´s much easier to identify the nature of the customer not only from the customer behaviour point of view, but also from demographical, geographical or socio-economical. Thus, social networks have become a platform for expressing personal opinions on products, services and activities of whichever company. For those companies, social networks mean valuable feedback or a platform for communication with their target groups. So, called social CRM is becoming a perfect tool in digital environment, able to gather data from across social networks, transparently displaying customer “sentiment” towards a brand and at the same time monitoring required key words (e.g. the key word “Millennium” enables to track all the people´s opinions and posts concerning this company). higher-quality products and services -> based on the feedback and opinions on social networks, the company is able to customize its products and services to customers´ expectations. Nowadays, customers are used to communicate with companies via many channels. They more and more consider social media as the easiest and quickest way how to communicate with a company. Thanks to the social CRM, these interactions are monitored and administered as in detail as traditional CRM can track communication via phone or email. Customer care lies in quick response to their reactions. 72 % of customers on social networks expect response to their demands within an hour. Via social CRM, we can track on social networks towards what direction the sales of the company are heading, what purchase decisions are made by key agents, what are the strengths and weaknesses of the competitors and to monitor feedback on products and services. 51 % of sales representatives, who have been using sales techniques via social networks, have beaten other sales representatives. Thanks to the interconnection of social media and CRM, marketing presentations and communication can be transferred in more natural and discreet manner. Thanks to the social CRM, the passive audience of customers transforms into the active audience, which reactions on published marketing content on social networks are tracked and recorded in CRM. Thanks to the monitoring tools, it´s possible to have reaction/conversations and their evaluation under the thumb. 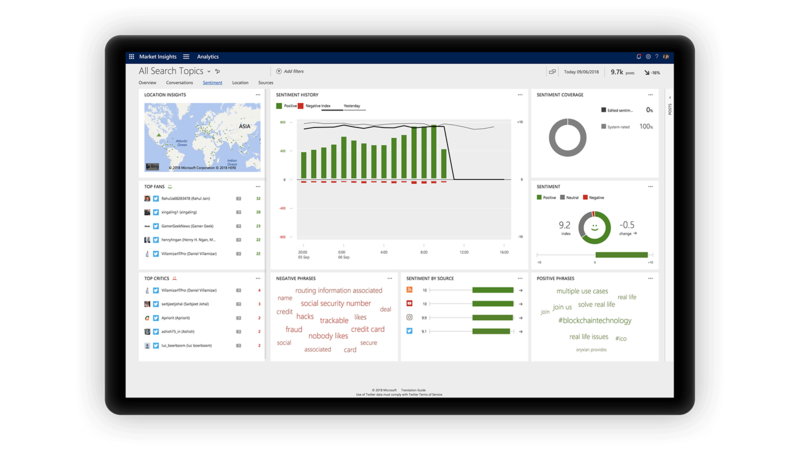 The social CRM functionalities are provided also by the Microsoft Dynamics 365 tool via the „Social Engagement“ module. By this combination, the company gets a comprehensive tool for social media monitoring, it can gather data from web locations of social networks and create an overview of sentiment with positive, negative or neutral public comments. More detailed data can be tracked via the analytical summary of social networks and, thus, get a bird´s eye view over the key topics. Since even in this tool the Artificial Intelligence is the crucial aspect, Social Engagement will appear on the market on January 16th 2020 under the new name AI for Market Insight. Trend for 2019: The power of social media in connection with the CRM system becomes more and more used with the aim to get important feedback. Companies get an overview of what has been posted on social media about them, their can respond to critics or people´s questions and take this opportunity as another way of building relationships with existing as well potential customers. If you are looking for a solution that would help make your business more efficient, do not hesitate to contact us.